Gurgaon: 17th September 2015: Kingdom of Dreams, India’s magnificent and one and only live entertainment destination and Zangoora, The Gypsy Prince the world’s biggest and longest running Bollywood musical on stage celebrated a historic 5 years of non-stop shows and world class entertainment. Launched in September 2010 Zangoora’s magic continues to hold the audiences in thrall with its stupendous special effects, electric energy of the cast and crew, opulent costumes and the 4D cinematic experience. 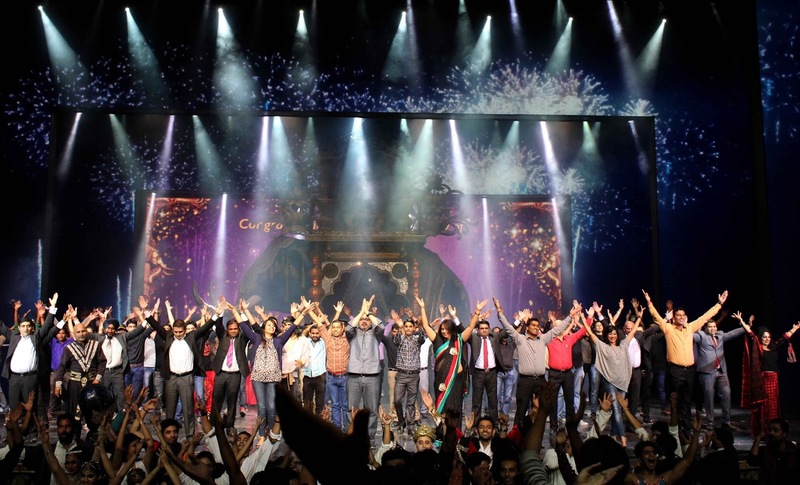 The exhilaration of the visitors to KOD and the performing cast and crew of Zangoora knew no bounds as all gathered to experience the historic show this afternoon, which marked a run of 5 glorious years of live entertainment on stage in the one and only Bollywood style extravaganza. The Zangoora star cast and dancers with their boundless energy and sheer joi-de-vivre kept the audience spellbound. The breathtaking visual effects and foot-tapping Bollywood music got the viewers out of their seats to dance in the aisles in keeping with the performers on stage. The appreciation and love showered on the performers of Zangoora was instantaneous and fuelled the performers’ zeal even more. 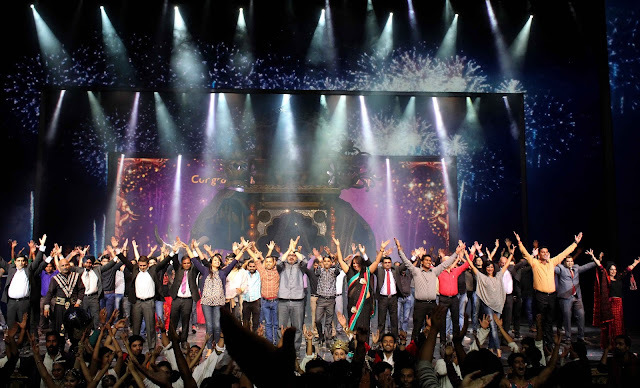 Kingdom of Dreams and Zangoora have been experienced and felicitated by many an Industry Czar, Bollywood Superstars, Business Honchos as well as the masses. Travellers from far and wide, domestic as well as International have all been left mesmerised by the sheer magical artistry of the place as well as the stupendous visual feast of the World’s most spectacular Bollywood musicals on stage. A Must See and a Must Visit destination Kingdom of Dreams continues to create magic and mystery for throngs of visitors. Yeh Nahin Dekha Toh Kuchch Nahin Dekha!